Click Here for Friday Itinerary. 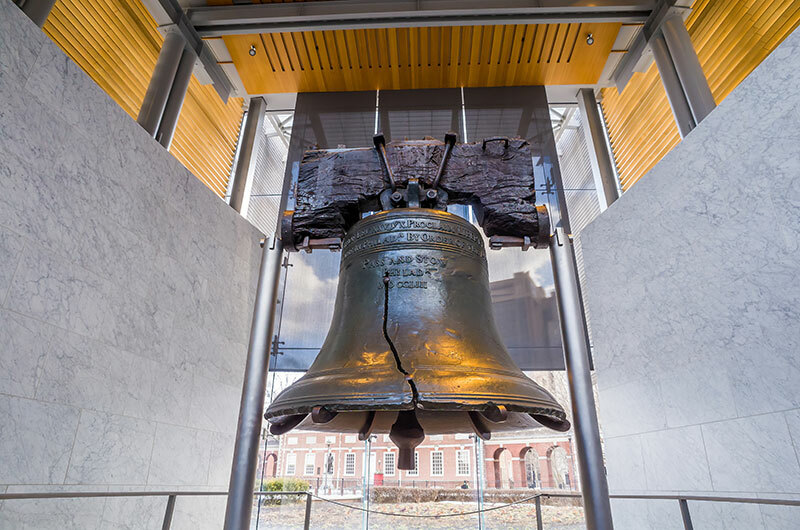 In the morning the bus tour will take you to Philadelphia and visit the Liberty Bell & Independence Hall. 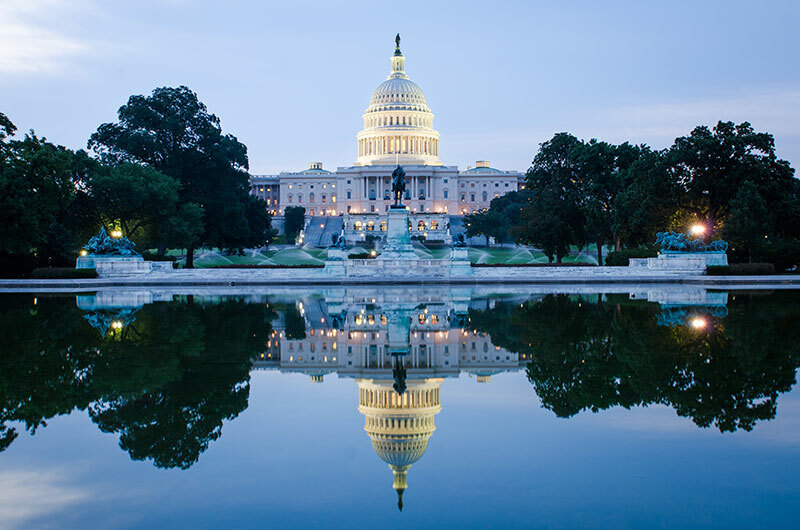 Afterward, we will travel to Washington D.C and visit the Capitol Hills; the Lincoln Memorial which is in the form of a Greek temple and contains a large seated sculpture of Abraham Lincoln and inscriptions of two well-known speeches by Lincoln. 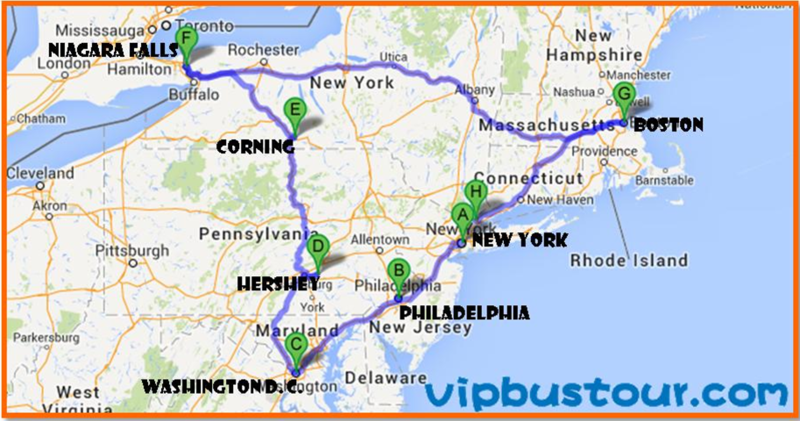 In the morning the bus tour will travel to Corning, New York to visit the Corning Museum of Glass which is the largest glass museum in the world with more than 45,000 objects from over 3,500 years of glassmaking history. You will also see live, narrated glassmaking demonstrations. Afterward to Watkins Glen State Park, and then the tour bus will to Niagara Falls for Night Illumination. In the morning the bus tour will see the Niagara Falls is one of the most beautiful places in the world, where the electrification of the world started. As a great turning stone in the history of electricity, Nikola Tesla and George Westinghouse built the first hydro-electric power plant in Niagara Falls and started the electrification of the world. Niagara Fall witnessed the final victory of Tesla's Polyphase Alternating Current (AC) Electricity, which is lighting the entire globe today. President John F. Kennedy called the project, "an outstanding engineering achievement" and "an example to the world." The Niagara Power Project is New York’s largest electric generating facility, composed of two main parts: the Robert Moses Niagara Power plant, where most of the electricity is produced, and the Lewiston Pump Generating Plant, which generates additional power at times of peak consumer demand. Niagara Power Project Power vista, a museum devoted to Niagara Falls Power Plant, features more than 50 interactive exhibits and an observation deck. Located just 4 miles downstream from the Niagara Falls, it is set amidst the spectacular scenery of the Niagara River Gorge. 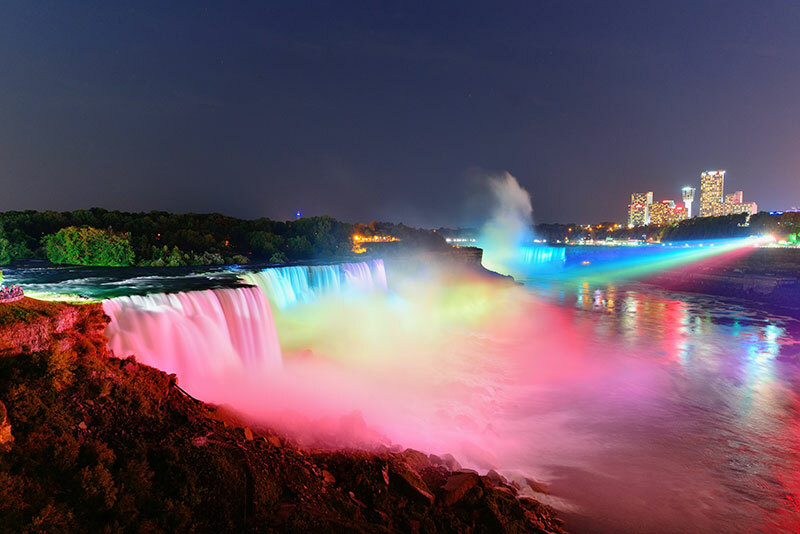 It offers you a chance to reach out your hand and touch the power emanating from Niagara Falls. Visitors of all ages enjoy the hands-on experience as they learn about hydroelectricity and the historic role it has played in the Niagara Frontier. And then to Old Fort Niagara is located on the eastern bank of the Niagara River at its mouth, on Lake Ontario. Established by the French in 1679, it controlled access to the Great Lakes and the westward route to the heartland of the continent. In 1726, the impressive “House of Peace” or trading post was built and it has been called the current name “French Castle” since 19th century. From the lakeside right by the French Castle, you can see from distance the skyline of Toronto, the biggest city of Canada, and the tallest building in Canada, CN Tower as well. Occupied by the French, British and United States armed forces subsequently, Old Fort Niagara served for various purposes in the major wars. Inside the Fort, you'll tour original buildings where Native American, French, British and American soldiers lived and worked from the 18th to the 20th centuries. It tells a vivid history of French and Indian War, American Revolutionary War, War of 1812, Civil War, Spanish-American War, World War I, World War II and Korean War.In1963, the US Army officially deactivated this fort. Military presence on the site continues with the United States Coast Guards, making Fort Niagara one of the longest continuously run military bases in the United States, 1726–present day. Among the first sites designated as National Historic Landmarks, Old Fort Niagara was officially recognized by the United States government in 1963 for its national-level historical significance. Then the bus will heading to Niagara Falls to enjoy the spectacular views of Niagara Falls up close. 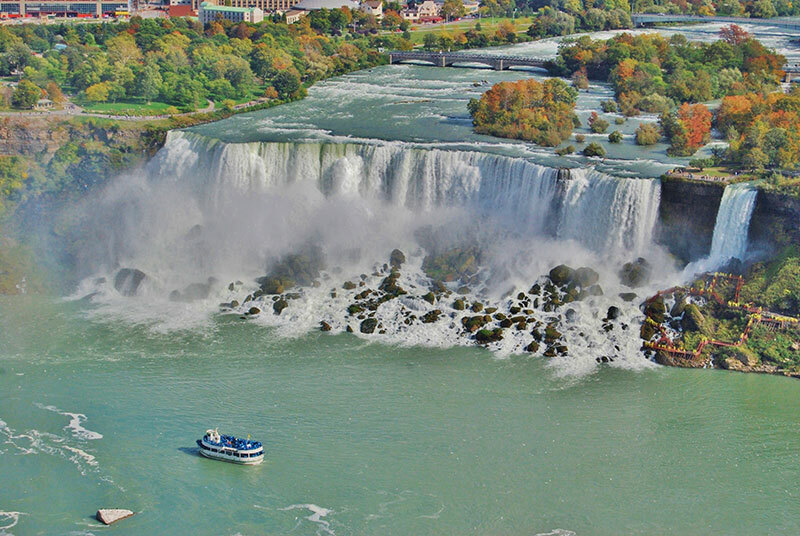 You will see the Canadian Horseshoe Falls (U.S. side), American Falls, Goat Island, Bridal Veil Falls, and then enjoy a ride on the Maid of the Mist boat ride (seasonal) that will soak you as you explore the roar of the Falls. This historical ride is a half hour thrill of a lifetime and is North Americas oldest tourist attraction as millions of visitors have enjoyed the boat tours since 1846. You will also go to the IMAX Theater to experience the Falls like never before. Here you can see "The Falls Movie: Legends and Daredevils" - one of the most spectacular IMAX movies of all time. You will sit in a giant six-story movie screen and feel the power of 12,000 watts of thunderous digital surround sound where you can see behind the mist, myths and mysteries of one of the most storied natural wonders of the world. After, you will return to the New York, concluding your unforgettable tour.